It is a known problem that, most of the PCs: either laptop or desktop those came with factory preinstalled OEM version of Microsoft Windows 7 , does not provide the setup disk. In case the installation gets corrupted, where practically there is no way other than to freshly install Windows 7 finds no solution. The unsatisfied customers curse Microsoft Windows 7 more than the system builder! The logic is simple, an average consumer thinks that it is the Microsoft Windows which has created the problem. Anyway, I am providing you the only and first method of creating your own OEM bootable copy of Windows 7. Fun is that, I have changed the method from my initial approach so that, hackers, crackers cant not misuse it. This method can create a bootable Windows 7 DVD or pendrive for that particular machine (be it desktop or laptop) only. I have checked it with three laptops, One from Sony, second one is from Compaq/HP and third from Lenovo. I had to do it thrice for the Lenovo laptop to create it properly: it seemed to me, there is some difference between Lenovo and all other OEM builders: otherwise it must work in all cases. Please follow each and every step. It is advisable to create one bootable disk if you do not have one or somehow lost it before your system gets corrupted. There is no valid point for retail copy users to use this method. You can download the trial version from Microsoft technet or MSDN and use your Genuine key to activate your copy. 1. Microsoft Windows 7 retail DVD or untouched ISO of any version (As I said before, you can signup to technet and download the trial. Please do not use pirated copy or so called cracked copy: It is illegal, dangerous as it may contain malwares) or simply can borrow a copy (only the retail installation DVD) from your friend. 3. OEM CERT for your PC’s Model (Microsoft signed OEM certificate for corresponding OEM-made computer with BIOS that supports SLA 2.0 and build with SLIC ACPI table from Dell, HP, Lenovo, Asus, Acer, Sony or other manufacturers.). 4. OEM Key for the brand and version you have installed. If you are using retail installation DVD; then you have to create ISO from it. In case you are using downloaded one, it is already an ISO. Open it with Ultra ISO. In UltraISO search resources the this file [ ei.cfg ] .Extract it and modify this to change the ID to the version you have installed or bought or installed (for example: Windows 7 Starter, Windows 7 Home Premium, Windows 7 Ultimate etc). You will need the OEM key for the desired version. Now, modify the channel from Retail to OEM. Save and add it to your iso image. Save the ISO image again. Burn the modified ISO to DVD. BIOS-MANUFACTURER LABEL-PROCESSOR-HARD DISK DRIVE ID-OPTICAL DRIVE ID-OTHER UNKNOWN THINGS. Activate either over the internet or phone. Download Genuine Advantage Validation tool and run it to test. Note: Please do not try to be over smart. You can not activate Ultimate version if you have purchased say Home Premium. We have wrote the tutorial in the way, you can not do it. This Article Has Been Shared 1080 Times! My laptop had nothing to format it and it can not even boot into Windows…I used your method, searched Google for the data you mentioned and created in my friends desktop! I have been a fan of you! 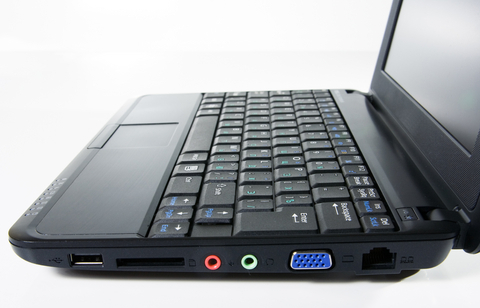 It has been written for the users like you, who do not have the Windows 7 installation DVD to format the PC. Sorry for being stupid – but where do I get the OEM CERT from? so it’s something I need to download and not something I need to extract from my computer? it’s a Samsung – don’t know what it is I’m looking for.. It sounds bad if I call you as “stupid Women” ! Anyway; as Shilpa said rightly; there is is no other way for the general users. For bulk purchase (like developers), the Cert is issued by Microsoft. Distributing Cert is borderline-illegal (according to Microsoft). Contact Samsung for the bootable DVD after paying or Purchase a Retail Windows 7 DVD. Also consider using Linux (which is fully free). Thanks for your speedy answers – but I don’t really want to give samsung any more money – I just want to install windows the way I want to install it!! It seems unfair that I should have to purchase another copy of windows when I have one here purchased with my laptop… and linux would be great if it worked with itunes and a few other programs… So is there nothing I can do? No sane person will be happy to pay twice. There is no way other than paying (in legal way). Moreover, if you upgrade components like the hard disk; the OEM license gets invalid. For retail version this restriction is not present. You can use any Windows program in Linux using Wine emulator. Elive has a bundled emulator to run Windows applications. There are many Linux distributions like Debian, Ubuntu, Open Suse, the link I gave of Elive : all are free. I have a small problem with my Dell Inspiron Laptop. It comes with a preinstalled Win 7 (64bit). It comes with a lot more of the junk softwares in it. I have created a recovery CD (the one you would use to format the entire hard disk and reinstall to factory setup). However I am unhappy with this as the OS preformats the hard disk to 30 GB of C drive and another 12 GB as backup. Also, it installs all the unwanted software which came with the factory setup. I would like to know if there is any way I can create a light version for my original OS. This should not contain unwanted softwares, should be able to boot from a DVD and must not create backup partition on my hard disk. Any suggestions, comments will be much appreciated. Those junk softwares are (better known as “crapwares”) are part of the OEM version. For those crapwares probably the OEM version costs less (the software companies pay a part) with more RAM and higher spec. You can De-crapify using some third party softwares, but you will not able to kick out all the craps : they are somehow “integrated” in to the OS. Legally, we can not do anything with these : neither create a lighter version out of it nor can change the backup option : the installation DVD is compiled in that way. When buying a OEM pre-installed laptop, actually users are unknowingly accepting their terms and conditions of usage. 1. Decrapify (Google it) using some third party software / Windows uninstaller (if allows) and live with it. 2. Buy a retail version to get the full control. 3. Install Free Linux (as said ago). I have a question. I have windows 7 which came preinstalled with my acer laptop. I have dual booted it with Ubuntu+Windows. Ubuntu is my primary OS, and I dont want to loose my genuine windows copy, but the problem is window is not releasing enough hard disk after shrinking and around 200GB is with windows which I dont use. Is it possible with this method to create bootable copy of windows and use that in vmware as a virtual OS, so that whenever occasionaly I need, I will have my windows too. Case 1 : Using a bootable copy of your existing Windows 7 in vmware as a virtual OS is not possible as per Microsoft’s Licensing policy – in this case, I am not going to technical part whether creating a bootable copy is possible or not. In other words you have to buy a separate Retail version of Windows 7 for using it on virtual machine. If you have 2 VMs then actually 2 licenses are required. Case 2 : Pre-installed versions usually ‘customized’ the version of OS. You can try to separate it using Disk Management, with our retail versions its quite obviously easy, I am not sure about OEM. If you have a bootable OEM from Acer, you can try to wipe out and install Ubuntu as sole OS with two partitions first, leave the disk partition you want for Windows as FAT32. Then install Win 7. Windows bootloader will vanish Ubuntu’s boot loader, you can easily create the way of dual boot using EasyBCD from Win 7 (link of EasyBCD is here – http://thecustomizewindows.com/2010/12/repair-the-boot-in-windows-7-after-installing-a-second-operating-system/). Hey what’s the difference between this method and for example the “Back up and Restore”, “Create a system image”, or “Create a system repair disk” in Control Panel. Which one lable is correct one, because both has the same size 2,66 kb. Basically this method is a kind of violating their usage policy (circumventing measures), so unfortunately we can not help much for this particular article. Backup – usually manually copying the files and folders to CD, DVD, another hard disk, pen drive, cloud backup services, pen drive etc. All files like images are readable on any computer (Mac, Ubuntu / Linux, Windows, Web etc..). Back up and Restore : Usually uses a proprietary format and within few click the backups are exactly populated. Individual files might not be readable. Create a system image : Take a snapshot of all files and folders. Time Machine is the prototype of such in Mac. Create a system repair disk : Bootup disk usually for OEM Windows who unlike retails has no proper disk to boot with DOS. I’m not sure if there’s any way you can help me. I don’t know how to follow these instructions. I have Roxio Easy Media Creator 10 LJ and UltraISO. I don’t about this OEM, OEM CERT and some of the other bits. Great post ! I hpoe it will save my life. I m going to do what you wrote but I don’t understand which is the name and the emplacement of the OEM directory I have to create in the ISO file, the one where you place the OEM cert file. You wrote the path with some $$ and /, so i don’t understand. Do I have to create at the root of the ISO an OEM folder, which contains a System32 folder, which contains an OEM folder, which contains the cert file ? I hope so! Thanks for the kind words. $ stands for the drive. As the drive letters will vary (it can be E: for me, F: for you Z: for another person), so those odd notations are used ! Yes, you found that System32 folder, that is the $$/SYSTEM32 thing ! Sorry for the belated reply. Let me know what happens the next. It takes one minute and it was better for me because I already have installed Win 7 on my new SSD. It works like a charm. But thank you to propose another solution. I called microsoft and HP support and they had nothing to do with my problem. Its great that you have found another good and updated resource ! Thanks a lot for giving the feedback. I am sure this paragraph has touched all the internet visitors, its really really pleasant article on building up new weblog. truly good, all be capable of effortlessly understand it, Thanks a lot. Cite this article as: Abhishek Ghosh, "Create a bootable Windows 7 DVD for OEM PCs not supplied with installation disk," in The Customize Windows, November 17, 2010, April 18, 2019, https://thecustomizewindows.com/2010/11/create-a-bootable-windows-7-dvd-for-oem-pcs-not-supplied-with-installation-disk/.